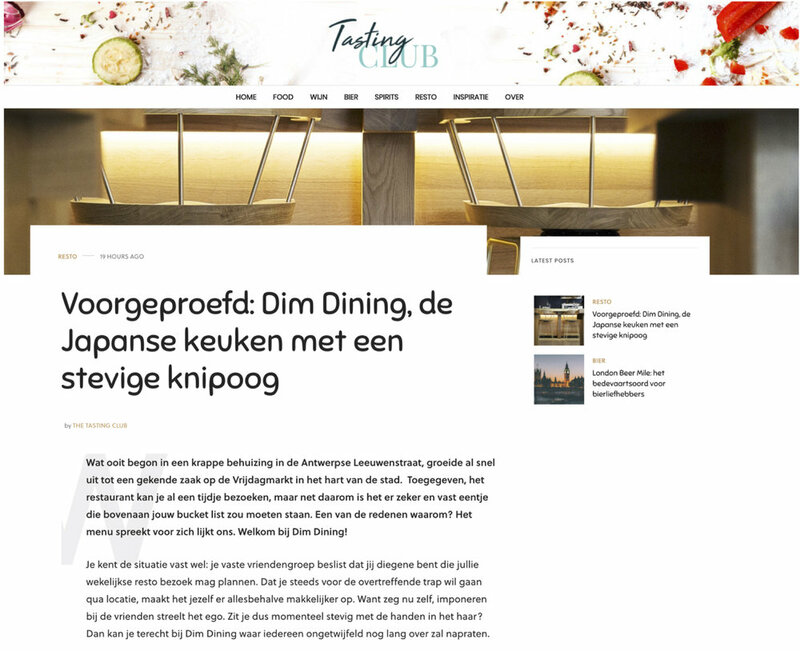 Online food & drinks platform Tasting Club recently dined at our restaurant and we couldn’t be more proud to share their latest article, in which they talk about the outstanding culinary experience. They recommend Dim Dining as a place that ‘everyone will undoubtedly continue to talk about for a long time’. It is a pleasure to read that they felt our ambition for perfection throughout the entire menu ànd service. Read the full article (in Dutch) here.